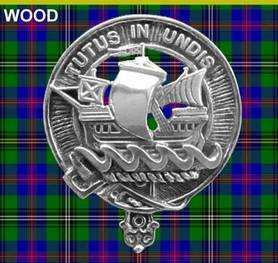 The official Crest Badge of Clan Wood is worn by clansmen and women on their cap/bonnet (or the jacket), and depicts the Crest of the Chief's armorial bearings set within the traditional strap and buckle. This finely crafted piece is made from high quality lead-free pewter and is brilliantly polished. Diameter: 4.8cm (approx. 1.75").